Have you been hunting down recovery Image of Infinix telephones like Infinix Hot Note, Infinix Hot Note Pro, Infinix Hot gadgets? I have updated the rundown with the present CWM Recovery Image of your Infinix cell phones. Keep in mind before you can streak or introduce any custom ROM on your gadget, you should introduce recovery image on it since it won't work on the off chance that you utilize the stock recovery your telephone accompanied. 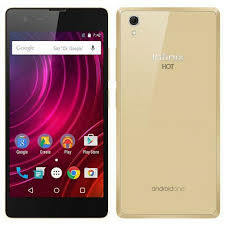 Infinix cell phones are getting exceptionally famous by the day and that is the same way the interest for recovery image is been requested by telephone tweakers and engineers right now. -- Your infinix phone must be rooted also. you can root with Kingroot android app apk. ==> Now that you have downloaded the recovery image of the infinix android phone of your choice, just copy or move it to the root of your SD Card (don't place it in any folder). In case you don't have a memory card on the phone, just save it in the root of your phone's internal memory. ==> The next step is to launch the mobile uncle app you downloaded earlier and select recovery update, then OK.
==> Once you have done that, you will be asked to boot into recovery, just tap OK. The CWM recovery will be installed on your device as soon as the recovery update is complete.